Intercomp LS-WIM Low Speed Weigh-In-Motion technology features hermetically sealed shear beam load cells which are certified for accuracy and performance by US government metrology authorities. Low-Speed Weigh-In-Motion provides greater precision for applications which include checkweighing and monitoring compliance, issuing citations, or charging by weight. Intercomp In-Motion (LS-WIM) scales, available from Central Carolina Scale based in Sanford, North Carolina, utilize hermetically sealed load cells which are certified for accuracy and performance by United States and European government metrology authorities. 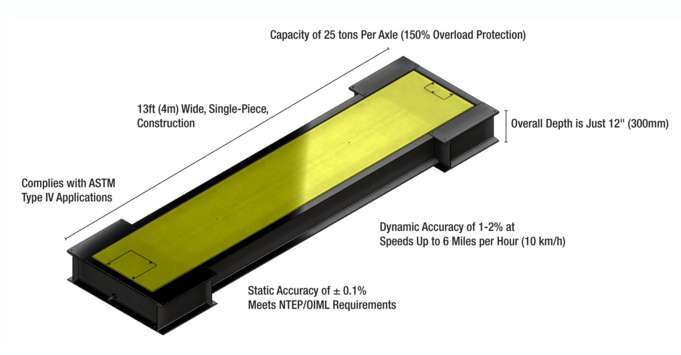 Low-Speed Weigh-In-Motion scales provides greater precision for applications which include check weighing and monitoring compliance, issuing citations, or charging by weight. 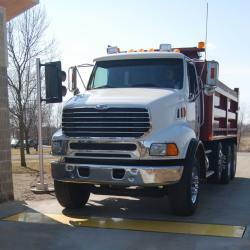 And also generally the installation and maintenance can be less expensive than standard truck scales. 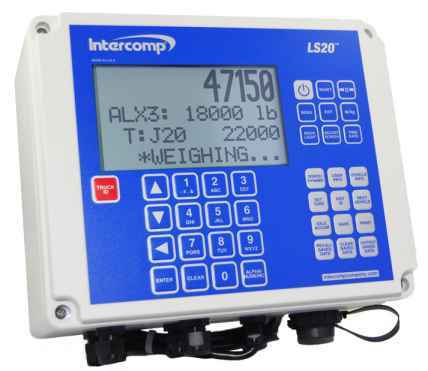 These scales can be a great choice for places like Tolling/Weight Enforcement, Weigh Stations, Overweight ticketing, Seaports, Freight Terminals, and Construction or Mining sites. The thirteen foot wide single piece construction weighs all types of axle configurations. These in motion scales provide an accuracy of 1% to 2% at speeds up to 6 miles per hour and comply with ASTM Type IV applications. It will operate not only in dynamic but also static mode with an accuracy of plus or minus 0.1%. With a capacity of 25 tons, this system provides a low cost solution for many applications. LS-WIM scales weigh vehicles axle-by-axle dynamically. Ideal for gate area operations, these weigh-in-motion scales offer a small footprint for easy, in-ground installation, and the ability to read and record both individual axle and gross weights. Besides the efficiency gained from not having to stop on the scales, LS-WIM Scales are an attractive alternative to full size truck scales due to their lower cost and less invasive installation. They can be tied into gate automation processes and provide data that can be analyzed to gain further operational efficiency as well as help avoid overload fines. Great compliment for the in-motion scales is the LS20 weight controller. The LS20™ is a full-featured indicator ideal for any truck traffic application. Featuring an easy-to-read LCD display, and intuitive keypad design, the LS20 fully controls scale functions. Built-in memory can store up to 3,000 separate weight records and save up to 250 unique truck IDs complete with tare weights, individual axle weights & total gross weight. This data can be exported via a USB drive or RS232 serial output for complete manned or unmanned weigh station capabilities. Electronics are housed in a weather-resistant enclosure for durability in the elements, and the LS20 can communicate with an optional wireless printer and LED display for a complete system package.